This December ten thousand beautiful lights will be switched on in memory of loved ones at Wirral Hospice St John’s. This special event is an opportunity for our local community to come together to sponsor a light and remember their loved ones. This year the lights will be switched on by eight-year-old Sam Bryson whose dad died at Wirral Hospice St John’s in 2015. Sam was six and his sister Florence was just two when their dad Roger died from bowel cancer aged 48. The children spent a lot of time visiting their dad at the hospice and were always made to feel welcome and cared for; their father was an in-patient for almost three months. Periods of stability meant he was able to live at the family home in Hoylake for a few weeks at a time. Roger was a news journalist who worked for the BBC in Liverpool, and was a former news editor of The Liverpool Daily Post. Roger was hospitalised in May 2013 with essential thrombocythemia – a blood disorder that caused a series of blood clots, resulting in complications and emergency bowel surgery. He returned to work nearly 18 months later, but developed further problems and was diagnosed with terminal bowel cancer in April 2015. He moved to Wirral Hospice St John’s days later. Julia Bryson writes a blog called Rainbeaubelle and documents their journey online. Writing about her husband’s cancer diagnosis, his move to the hospice and eventually his death helped her to get through the experience and connect with others in a similar position. It has also served to give people an insight into life at a hospice and how the hospice can benefit not only the patient but also the whole family. A news journalist like her husband, Julia works at the BBC in Leeds and in her spare time writes about how the family has moved forward through grief. The family have since moved from Wirral to Julia’s hometown in Ilkley, West Yorkshire, but visit Hoylake often. Roger’s family – his mum was 91 this year and lives in Moreton with his sister Jehane, and his brother Pete and sister-in-law Glenys live in Irby. 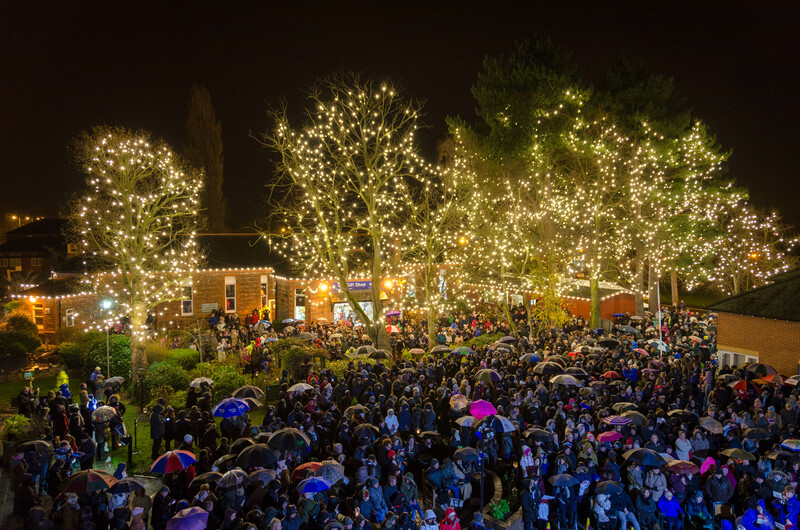 The switch-on will take place in the Hospice gardens on Sunday 3rd December from 4.30pm. The names of those remembered will feature in the books of honour on display in the hospice chapel. Each name sponsored will receive a Light up a Life card and there is an opportunity to buy a Light up a Life star as a keepsake tree decoration. Would your family like to help us with #LightUpALife #LUAL this year? Wirral Hospice St John’s Light Up A Life is quite a few months away yet but we are inviting families to come forward if they might like to help us with this year’s campaign. We know how special our lights are to so many of our supporters in remembering and celebrating loved ones, and we are very grateful for the incredible support we get at this time of year. If you would be happy to share why you take part in Light Up A Life, we think that it would be lovely for other supporters to read about your stories if we were able to share them on our facebook page and on twitter in the months leading up to when the lights are officially switched on (this year’s switch-on will be at 5.30pm on Sunday 6 December). Our local newspaper, the Wirral Globe, is very supportive of Light Up A Life so it would be lovely to also share some of your stories with them too if you’d be happy for us to do that. We appreciate that Light Up A Life can be a very emotional time so this is to reassure people that we are not looking to exploit people’s grief; we only want to share stories where people are happy for that to be the case and where they feel strong enough to do so. If you would like to help us in some way or find out what information may be needed before you decide if you’d like to help, please can you contact Teresa Nightingale on 0151 343 0778 (Fundraising office is open Mon to Fri 9am-5pm) or email teresan@wirralhospice.org with your contact details and a good day/time to be called. We look forward to hearing from some of you and learning more about why Light Up A Life means so much to you and your family. It was Thursday 2 January 2014, when our family’s lives changed forever. My dad, Ron, a fit and healthy 69 year old retired motor mechanic was rushed to Arrowe Park Hospital with a suspected stroke. Our world stopped. 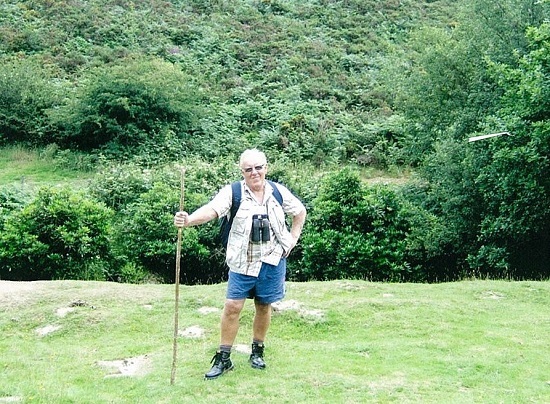 Following tests we were given the heart-breaking news that my dad had a brain tumour. We couldn’t comprehend the information and were left numb. Days later we were told that my dad was being transferred to the Walton Centre to undergo a biopsy of the brain tumour. We remained hopeful, but feared the worst. The news we got could not have been any worse; it was confirmed as a grade 4 brain tumour, inoperable and untreatable. We couldn’t understand how this could have happened to my lovely dad, a good kind and gentle man, who helped everyone, loved his family and had so much to live for. My dad was told he could come home, where my mum and I cared for him, something that he really didn’t like, as he was very independent and an extremely strong man. It was at this time that our district nurse, Andrew, introduced us to Wirral Hospice St John’s. 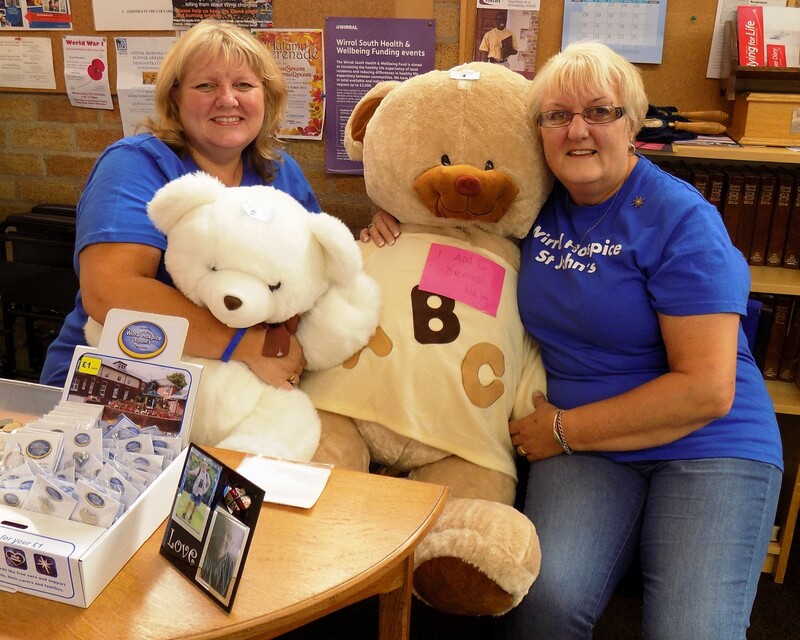 From the moment we arrived at the Hospice, the staff and volunteers were just amazing. We felt like we were among friends, safe, secure and protected. My dad was given the medication he needed for his discomfort and my mum and I were supported practically and emotionally. We soon learnt that the Hospice cares about each patient and their families as individuals. Kind, understanding words, hugs, endless hot drinks, smiles and someone to listen are all part of everyday life. My dad was comfortable, surrounded by his family and friends, and cared for in the best way possible. It was dad’s request he was where he wanted to be. Thanks to the support of the lovely nursing staff I had the courage and the opportunity to say the things I needed to say to my dad. On Friday 14 March at 1.30am my wonderful dad sadly died with me and my mum, his wife of 45 years, holding him. My dad’s death was the saddest day of my life but I’m happy to be able to say he died peacefully, pain free and most of all with dignity. When we left Wirral Hospice on that cold, foggy morning, we felt scared to leave the sanctuary of the place that had become our home for the past two weeks and scared to leave the protection and kindness that we had come to rely upon. The Hospice continues to support my family. I attend regular counselling there, which helps me to deal with the many milestones that present themselves and my mum is helping out with fundraising events and projects. We decided that we would hold a coffee morning in my dad’s memory in September. The generosity of everyone towards the Hospice and the memory of my dad blew us away. We are thrilled to have raised £2,400 for the Hospice and we get great comfort in the fact, that this will help future families in Wirral going through a similar experience that we have been through. I will also be taking part in Wirral Hospice’s Light Up A Life this year, making a donation in memory of my lovely dad to help care and support future patients at the Hospice. To me they are not just lights, they are all stars; stars that shine across Wirral in memory of the people we love.